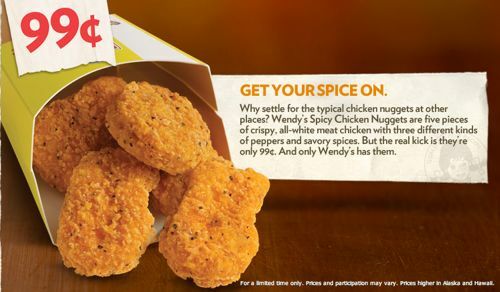 Apparently I missed this news the first time it came around earlier this month, so imagine my surprise when I pulled up to my favorite Wendy’s location this week and was delivered the most heartbreaking news of my life: “We no longer serve Spicy Chicken Nuggets.” I couldn’t speak. My body went numb, and I just sat there in my car, slack-jawed, waiting for Ashton Kutcher to pop out of the bushes and spray me with a fire extinguisher or something. Apparently, Wendy’s is trying to play me by suggesting that I just opt for the Spicy Chicken Sandwich, or the Asiago Ranch Chicken Club that can be ordered Grilled, Spicy or Homestyle. Those heartbreakers even DARED to suggest their regular nuggets (which, to be fair, are still absolutely goddamn divine) are comparable to their CLEARLY SUPERIOR Spicy cousins when paired with their new Sriracha sauce. Well, Wendy’s, I’ve got news for you: I need a little space right now. You know me, baby. All those 2am visits, those late “wyd” texts, Jesus – even the guy who worked the late shift at the Squire Rd. Wendy’s in Revere, MA probably knew me by name, order, face, or license plate. Son of Baconator Meal, fountain Coke, side of 99 cent Spicy Nuggets. Every. Single. Time. 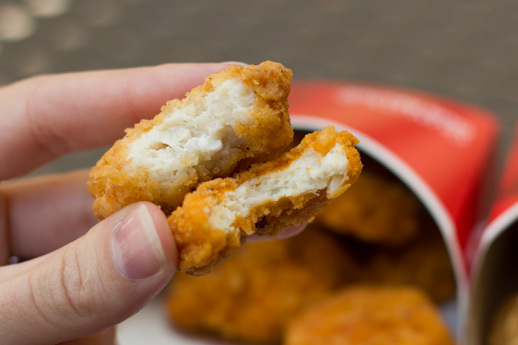 I can’t describe a more heavenly meal to you. I’m just… I’m just heartbroken. If anyone needs me, I’ll be devising ways to explain to my 2-year old nephew that he’s about to grow up in a Spicy Chicken Nugget-less world. I imagine he’ll be devastated too. In the meantime, follow us on Twitter and subscribe to the podcast… Or don’t, I just don’t know if anything matters anymore.